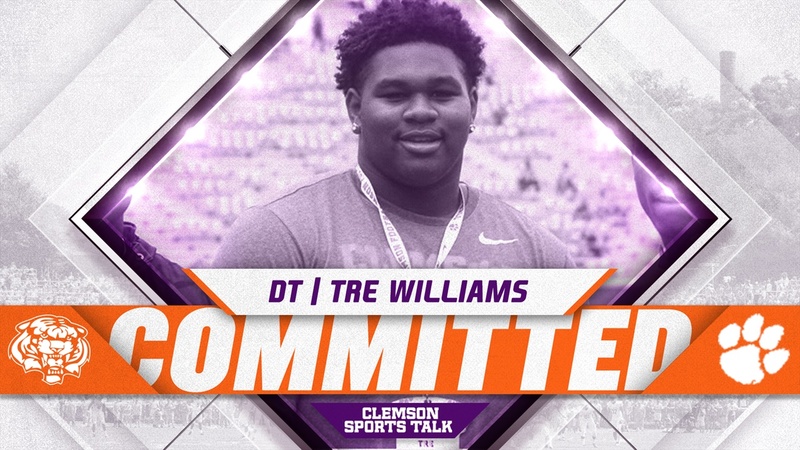 The Tigers continued their success in the early stages of the 2020 class as elite defensive lineman Tre Williams‍ committed while in Clemson today. Williams released a video via his Twitter account to announce his pledge to the staff. Williams and a handful of other St. John's College (DC) recruits are in town for Clemson’s Junior Day. Williams became Clemson’s second 4-star commit today joining Kevin Swint‍, who pledged early this afternoon. Williams’ teammate Luke Hill‍ has been long thought a Clemson lean and it would seem to be a matter of time before he makes his decision known as well.